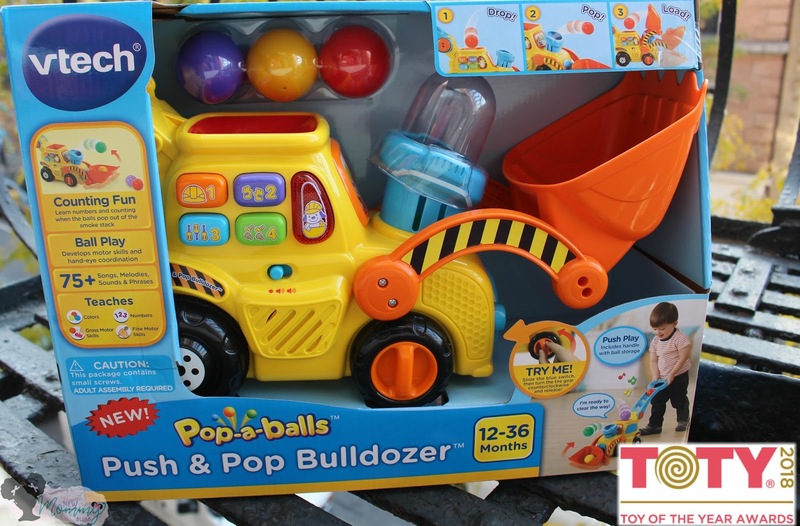 The 3rd Toy that I'm bringing up for the Toy Of The Year Award Nominees is the Push & Pop Bulldozer by Vtech for kiddies age 12 months to 36 months. This toy is perfect for little walkers who love to get surprised. With over 75 songs, melodies, sounds, and phrases, children will enjoy hearing something new each time they play. The ball popping action isn't crazy like other ball popping toys we've seen on the market in the past. If there's only one ball in the chute, it will pop out of the smokestack and into the scoop of the bulldozer, which in turn, flips back and tosses the ball back into the chute. If you add all the balls, the popping action continues the same with the exception of your child having to chase 1 or 2 around. 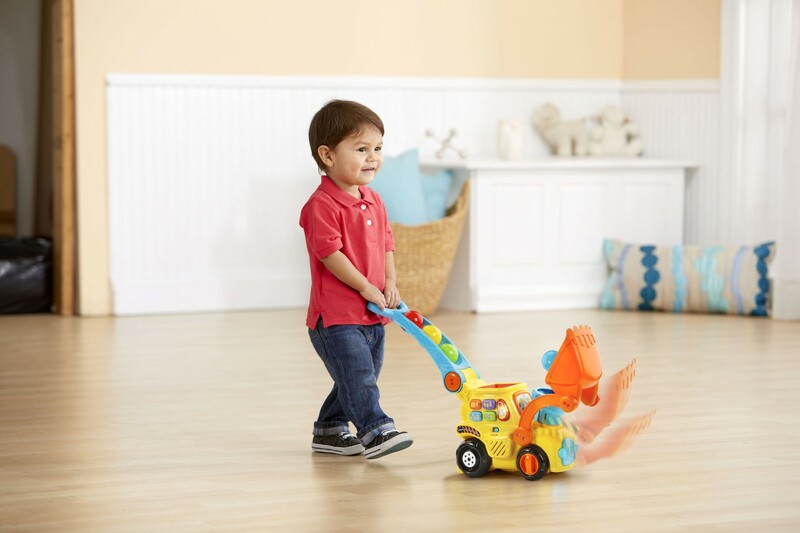 Toddlers and babies love to chase things so this toy is going to be a hit with them. 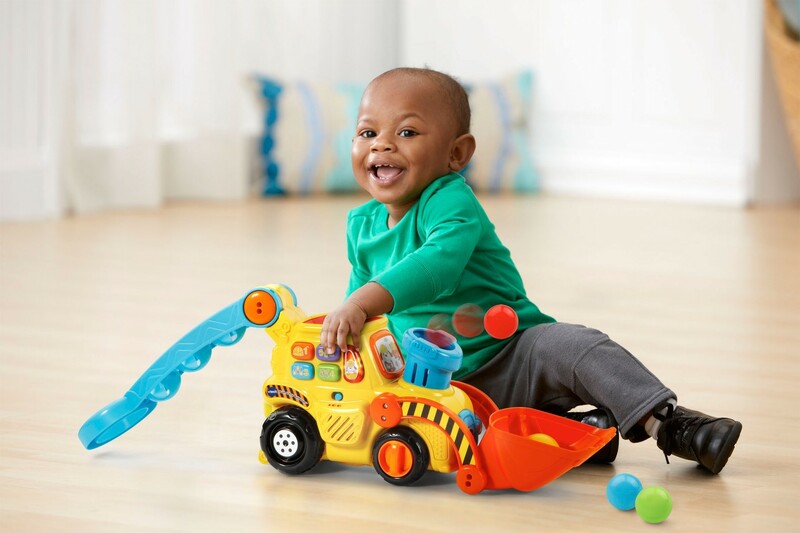 This bulldozer will introduce colors, objects, numbers, and music to your little one. If your child isn't walking yet, it's not a problem! You can choose to keep the handle off or turned down for your child to just push the Bulldozer. The actions remain the same. Once they start to take those precious steps, you can add the handle for them to push the toy. The easy grasp handle also doubles as ball storage! This one is going to be another hit this holiday season. What do you think?